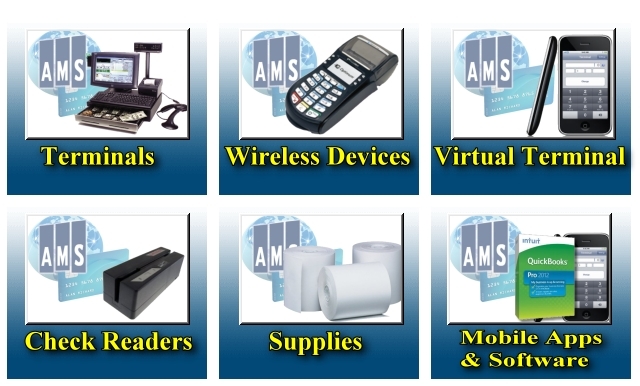 Automated Merchant Services, LLC (AMS), is committed to the highest security of your personal, company, and financial information, we respect the privacy of all our website visitors. Automated Merchant Services, LLC keeps any and all personal or business information obtained confidential and does not share this information with any other party. We value our relationship and your trust. This policy explains how we collect and manage your personal, company and financial information as well as how we care for your privacy and protect your information. Automated Merchant Services provides credit card processing services. If you apply for a merchant account on our website, we require that you provide certain information about your business, including your company's taxpayer identification number and certain other identifiable information (such as your company's financial history, when applicable). We also require that you, as the principal or owner of that business, provide certain personally identifiable information, including your name, address, social security number, and email address. This information is necessary to process your application and to contact you. We may require either your social security number, or your federal taxpayer ID to provide you with a merchant account. When you enter your social security number and your federal taxpayer ID on our registration application form, we encrypt it using secure socket layer technology (SSL). We will use your name and social security number to request a credit report and to obtain a background report on you and your business. We take a number of security measures, such as encryption, to protect the privacy of information about you. Automated Merchant Services may exchange information about the merchant, merchant's owners, principles, partners, proprietors, officers, shareholders, managing agents, and guarantors, as well as information regarding the merchant's activity with (i) other financial institutions, (ii) the various credit card associations (iii) any member banks and (iv) the network organizations. We may occasionally send you information on our products and services. Also, we may use your name and email address to send you a newsletter. To respect your privacy, you can unsubscribe to these types of communications by following the instructions included in each communication. Please see our "Choice/Opt-Out" section. We take every precaution to protect the confidentiality and security of your personal information by using industry recognized security safeguards such as site monitoring, secured networks and servers, firewalls, and encryption. When we ask for sensitive information, we protect it through the use of encryption during transmission, such as SSL (Secure Socket Layer). We regularly test and update our technology to enhance security. No method of transmission over the internet is 100% secure, however. Therefore, while we strive to protect your personal information within industry standards, we cannot guarantee its absolute security. Our employees are trained and required to safeguard your information. Our strict internal controls limit access to information based on job functionality. Automated Merchant Services is subject to the rules and regulations of credit and debit card associations and networks, such as VISA, MasterCard, Accel, NYCE, and Interlink. We are also compliant in regards to the security and safeguarding of cardholder information with "PCI DSS"(Payment Card Industry Data Security Standards), and "CISP" (Cardholder Information Security Program). We comply with all related rules and regulations at all times. Automated Merchant Services undergoes periodic third-party assessments and network scans to ensure that Automated Merchant Services has installed and maintained a firewall configuration to protect data; encrypts transmission of cardholder data and sensitive information across networks; restricts access of data to those that need to know; tracks and monitors all access to network resources and cardholder data; regularly tests security systems and processes; assigns a unique ID to each person with computer access; restricts physical access to cardholder data; and maintains a policy that addresses information security. We employ a software technology called clear gifs (aka web beacons/web bugs) and PNGs, that helps us better manage the content on our site by informing us what content is effective. Clear gifs are tiny graphics with a unique identifier, similar in function to cookies, and are used to track the online movements of Web users. In contrast to cookies, which are stored on a user's computer hard drive, clear gifs are embedded invisibly on web pages and are about the size of the period at the end of a sentence. We do not tie the information gathered by clear gifs to our customers' personally identifiable information. In the event that Automated Merchant Services goes through a business transition, such as a merger, acquisition, or sales, your personal information will likely be among the assets transferred. You will be notified of any such change in ownership or control of your personal information.